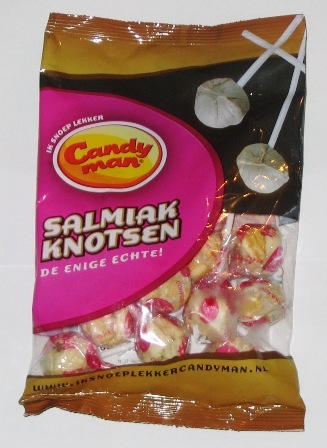 Salmiakknotsen are salty brown hard licorice lollipops. These will surely make you smile. Enjoy!